Let me start by saying that during the past few weeks I have hated the scale. It has not been the friend it once was. Well, in all honestly, it was never really my friend but it had become friendlier in the past few months. I have no doubt that this has led to my lack of motivation at the gym and unhealthy eating that has consumed my life (and my blog posts) lately. But today. Today I reached a milestone I didn’t know I could. I am officially down 4 pants sizes since mid-January. FOUR! A size I haven’t been in since college. And tomorrow, for the first time in probably 10 years, I will be wearing shorts. OUT. IN. PUBLIC. Not only because they fit, but also because they actually don’t look that bad. And while some people may not agree with that last statement, for the first time in that long, it’s my opinion that matters, not anyone else’s. Four pants sizes, 40 some pounds, 6 inches of hair, one 5K, and a new, more positive attitude. While the scale hasn’t liked me lately, my gym bag is packed and ready for tomorrow morning. Because sometimes there are better milestones than the changing numbers on the scale. This post started out in a funny way. All day I had been thinking about writing something pertaining to my constant focus on the past rather then on the present or future. As usual, I had trouble starting my post. I really didn’t know what I wanted to say, or maybe, I knew what I wanted to say, but really had no idea how to say it in a clever way. So what did I do? I looked back at past things I wrote trying to find some witty analogy to start with…and it hit me. I do this constantly when trying to figure out how to solve a problem. I look to the past hoping that it’s already been solved. That way I don’t actually have to do any work at all. I seem to have an obsession with the past. I am always looking back thinking the grass was greener or I was happier then than I am now. It is really happiness or is it simply nostalgia? What is it about an event being in the past that makes it seem sweeter or kinder to us than it was before? For some reason I feel that the present and future can never measure up when, in reality, I’m not really giving them a chance. I finally got a haircut yesterday after weeks and weeks of saying that I was going to. Why did it take me so long? Because I was so scared that once it was done I was going to regret the decision. Not only was I scared about the amount of regret I would have, but what would other peopler think? Some people told me not to get my hair cut. Should I listen to them or do what i want? I know this is a pretty insignificant example, but if I freak out this much about a hair cut, think about what happens when I have to make real life decisions. Do I look back to the past and pick decisions based on how receptive they were by my friends and family (and even strangers) and try to repeat the ones that were the most agreeable to others in my life? Is that why the past is so important to me, because it holds the acceptance of others? The bigger question is how honest am I being with myself? Do I make decisions based on what I want, or based on what other people might think about the decisions I am making. I’m constantly joking with one of my friends that I am 32 years old and really don’t have time for drama in my life anymore. Even as I say those words I realize I am a big, fat hypocrite. Even when I’m being honest here, I’m not being completely honest. I have secrets like everyone else. Things I can’t put in print or even talk about for fear of being judged. Am I doomed to constantly look towards the past or will I ever be able to just accept my present and future, judgement and all? Here’s me in the moment. Judge away. We can recite all the words by heart. You know, that part of the movie that is filled with a grand gesture from one character to another. 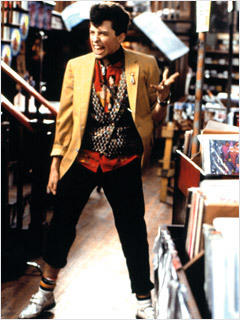 The moment Ducky sings “Tenderness” to Andie in Pretty In Pink. When Lloyd stands outside Diane’s room playing “In Your Eyes” with the boom box over his head in Say Anything. When Benjamin shows up at Elaine’s wedding at the end of The Graduate. While I love these parts of the movie; I always find myself cheering internally for a happy ending, I’ve never been much of a fan of them in real life. It could be because I am easily embarrassed. It could be because I’ve never liked all that attention. Part of me thinks those big, grand gestures have lies contained within and they simply need to be grandiose in order to hide something. Maybe it’s the fact that I always seem to be rooting for the underdog. The person that doesn’t show off in a flashy way, but is, instead, quiet and understated. I feel like these people have gone the way of the “knights in shining armor” – they don’t seem to exist anymore. What ever happened to the small gesture? The tiny act of love or kindness meant only for the two people involved. A touch, a look, a small token such as a cookie they know you like or a book they want you to read because it reminds them of you. Something that shows that they listen to you or remember some small trinket of information you shared. Something that shows they think what you have to say is important. They know you. Sometimes I wonder if people notice my small gestures. But even if they don’t, I’ll still keep making them. You can do anything for a minute. At least that’s what I told Jane to scream at me when I felt like giving up today. And she did. During that the last minute when she yelled at me from the sidelines I felt as if I could have run forever. I completed my first 5k today. I use the word “completed” instead of ran because I didn’t run the whole thing. To be honest, I didn’t even run half of it and had a pretty embarrassing time for completion. But today I beat the goal I set for myself and that’s all that matters. 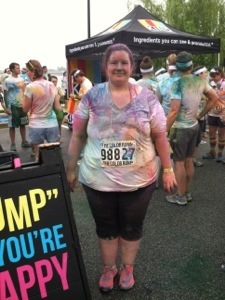 Four months ago and 42 pounds ago I wouldn’t have even considered running a 5k. Well, I probably would have considered it, but would have blown it off. In those days I could barely go up a flight of stairs without feeling like I needed a nap. I actually cried a little on the car ride home because I couldn’t believe how far I’ve come. Today I completed a 5k and being able to use the word completed is an accomplishment in itself. The whole thing lasted under an hour, but during that short amount of time I felt my entire outlook shifting. My motivation is coming back. My desire to continue my journey of healthy eating for myself and my family is rising again from the ashes of last week. I feel like I’ve been catapulted forward ready to take on new challenges because if I can do this, when I never thought it was possible, what else can I do? Today I signed up for my next 5k in September, ready to try again and this time go even faster, longer and harder. Today I completed my first 5k and though this is a small feat for some, my world will never be the same. I don’t even have the motivation to write today. I’m trying to do it anyway. I don’t even have the motivation to exercise today. I’m trying to do it anyway. I don’t even have the motivation to eat healthy today. I’m trying to do it anyway. I don’t even have the motivation to __________________. Who am I kidding, I’m not even trying. I don’t know what’s going on with me. I’m in a funk. I’m in a slump. I don’t even know what I’m doing at this point. I keep trying different things to get me going but they’re not working. I’m eating crap and then I feel like crap. I’m too tired or sore to exercise and then I feel like crap because I didn’t. It’s a vicious cycle that I can’t seem to get out of. I need a pick-me-up. I need a jump start. I need someone to shake me and slap me across the face. 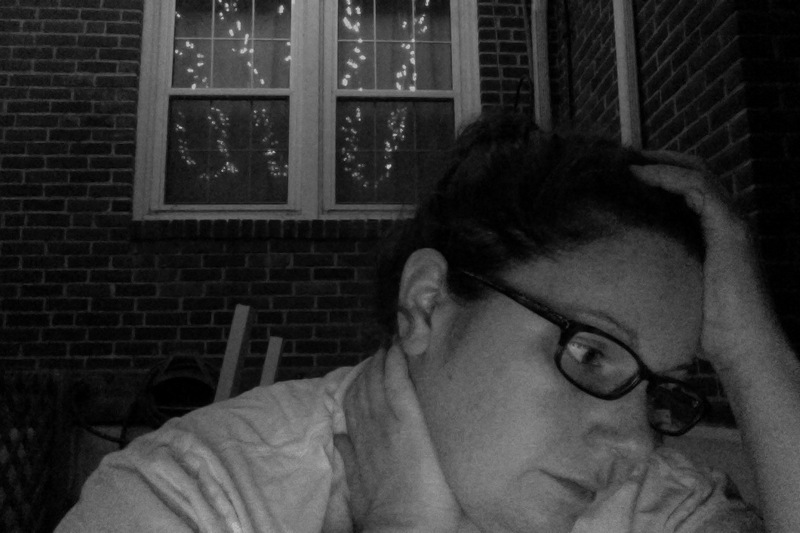 I need to reach deep down and remember why I’m doing this…all of this.